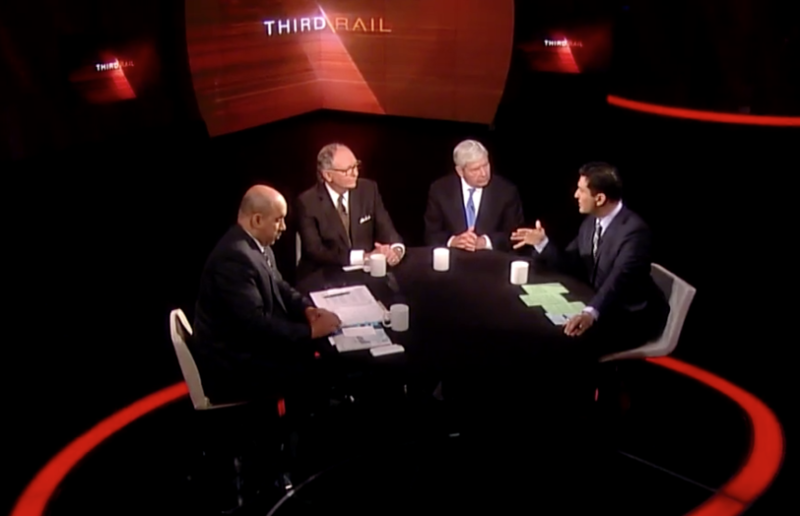 Al Jazeera America’s new debate program Third Rail debuts tonight at 6pmET with host Imran Garda. The weekly hour-long show will take look at controversial issues, with Garda moderating guest debates. It will focus on political and social issues. Tonight’s premiere episode will question the role of religion, and whether religion does more harm than good. Harvard Law professor and free speech advocate Alan Dershowitz and PBS host and author Tavis Smiley will debate the role of religion in violent world conflicts.